A few passing clouds. Low 61F. Winds S at 10 to 20 mph.. The Waxahachie Downtown Farmers Market opens its doors for a new season April 27. It will feature a variety of products for sale, from fresh produce to home décor at its location at 410 S. Rogers St. 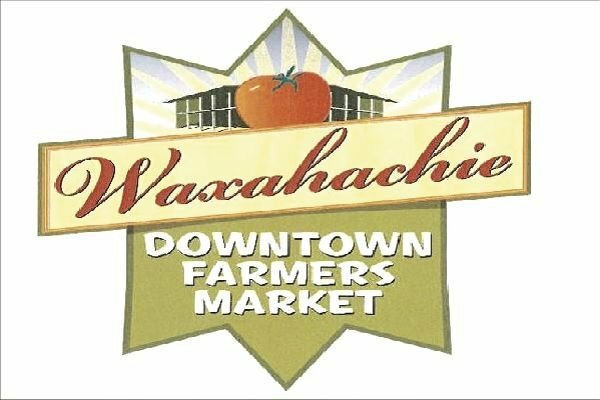 The Waxahachie Downtown Farmer’s Market kicks off its 17th season April 27. The city is accepting applications for new vendors to join its ranks. Downtown Development Director Anita Brown told the Sun she’s looking forward to what this market season will bring to the community. “I have already got 30 vendors so far,” Brown said. “We have a lot of our regulars coming this year and we have got lots of new vendors as well. There are several that are doing baked goods. We have several salsa vendors and someone that is going to be selling roasted nuts as well. The market is open from 8 a.m.-1 p.m. each Saturday from April 27 to Oct. 26, and is located at 410 S. Rogers St., across from Waxahachie City Hall. The market offers a wide range of items that includes fresh fruits and vegetables, baked goods, home décor, local honey, meat, jewelry, salsas, jams, and jellies. Each year the market operates, it continues to grow, Brown said. Last season the market had 43 paid vendors, with Brown noting that the market has become a community within a community in bringing people together over the 27 Saturdays it operates. “Every time I go to the market, I always run into people that I know,” she said. “It is like going to the grocery store. You run into everyone that you know here. People bring their kids and their grandparents. It is just a wonderful, wonderful thing. With Fresh Market Coffee House moving out of the main building at the farmers market to its new location at the MKT Train Depot nearby, the market now has the opportunity to increase in size. “Since the front of the building is vacant, we are going to move the kids’ activities, activities like the taste of the market and some new activities into the inside of that building,” Brown said. “That will open up space in the back to be used by vendors. “If there are extra activities that are going to be happening at the market on any given Saturday it will be posted on the Facebook page,” she said. Other factors that will help the market continue to grow include the addition of new restaurants and more residents living in the downtown business district. People who have questions about the farmers market or who wish to become a vendor can contact Brown at city hall at 469-309-4111 or email her at abrown@waxahachie.com. All of the documents, rules, regulations, information on how to be a cottage food vendor and other information are online at the city’s website at www.waxahachie.com. Once on the site, select the department tab and go under the downtown development tab for a direct link to the farmers market.